We at ELMAG INDUCTO PVT. LTD. are inspired to provide efficient energy solutions to Food Industries with the concept of Flame-Less commercial Kitchen. We at ELMAG INDUCTO PVT. LTD. have been incessantly inspired to provide the food industry with efficient energy solutions, from within the concept of ‘Flameless Kitchen‘, the motive of which being less release of CARBON in the ENVIRONMENT. 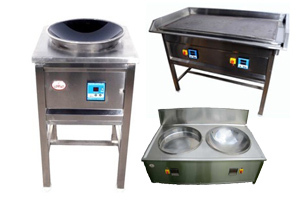 We aspire to bring to you, originally designed with passion, research and innovation,commercial and industrial kitchen equipment, which can be made both standard , and customized, encompassing the whole range of business that seeks to cut its running cost, We look forward to create a set of equipment minutely guarded comfortable at it’s use, and with adjustable work dimensions by using induction based which produces, efficiency, high energy and holds long lasting quality. 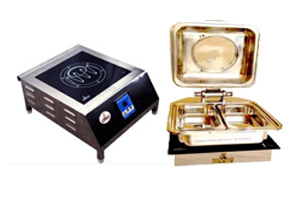 We provide the complete range of serving buffet warmers and Live counters. 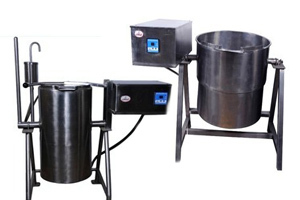 Products are customized as per the requirement. Our tag line for Industrial and commercial kitchen operation is “Heat the food and not Kitchen or chef”. Check out our Cooking Range and drop in your details for Inquiry and Quotation…. Be sure to check out the Product Range and contact us for product details and Demonstration. Copyright © 2019 Commercial and Industrial Kitchen Equipment . All Rights Reserved.